1. 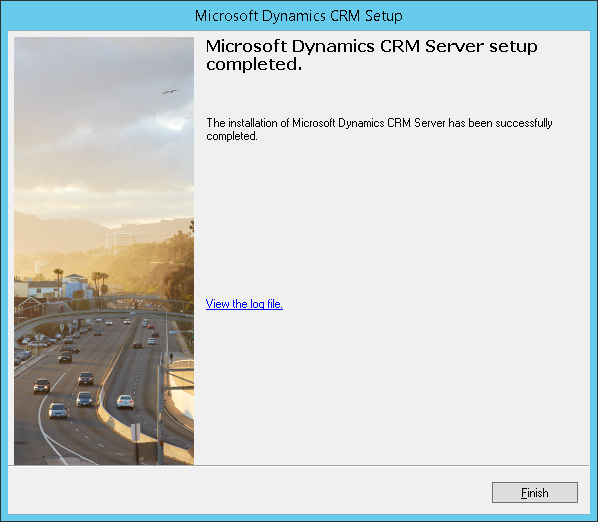 Download the Dynamics CRM 2015 Server setup file. 2. 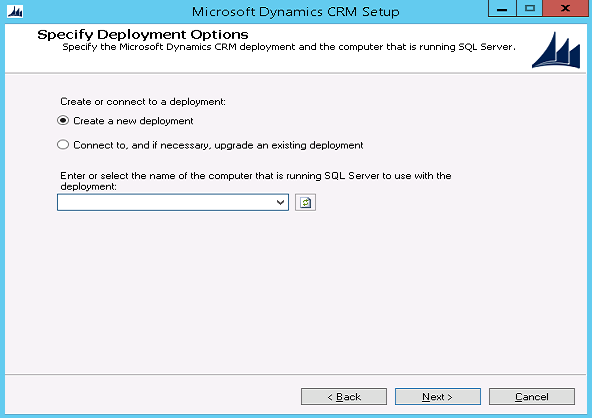 Run the Microsoft Dynamics CRM Server setup as an Administrator. 3. 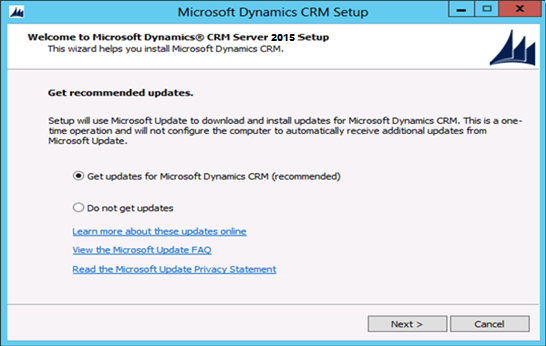 Welcome to Microsoft Dynamics CRM 2015 Server setup page will appear, it is recommended that you click on “Get updates for Microsoft Dynamics CRM” and click on Next (refer Fig. 1: Welcome Screen). 4. It will check for the latest updates and if there are no updates required, you can proceed with the setup by clicking on Next (refer Fig. 2: Checking Update screen). 6. The next step is to review the license information and if you accept the license agreement, check “I accept this license agreement” and click on “I Accept” to proceed further (refer Fig. 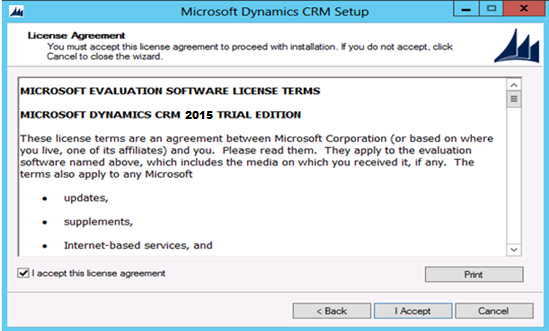 4: License Agreement screen). 7. The next step is to “Install Required Components”. 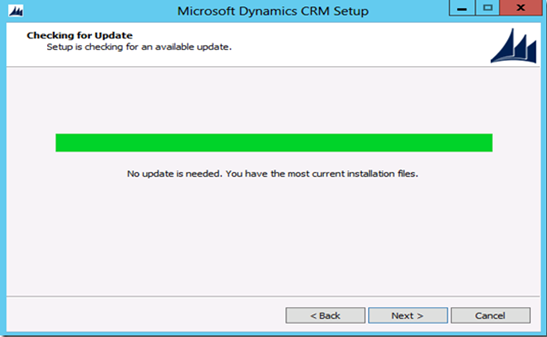 If the setup detects any components are missing, then only the “Install Required Components” page appears. 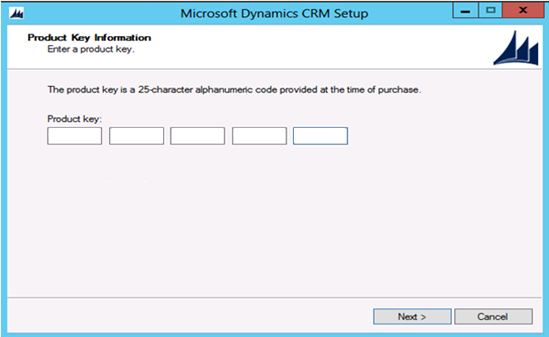 If the user have already installed the required components, then this page will not appear. 8. 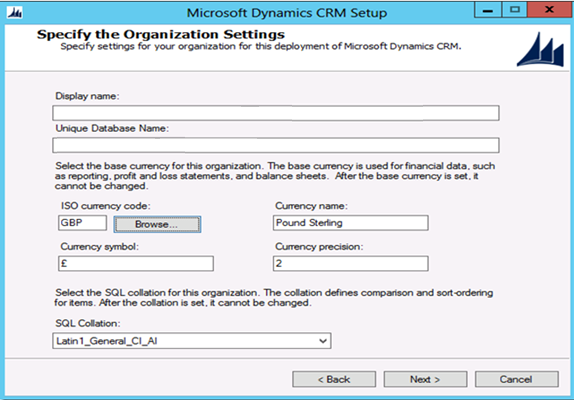 On the Select Installation Location page, the user can choose the default location or enter a different location and click on Next (refer Fig. 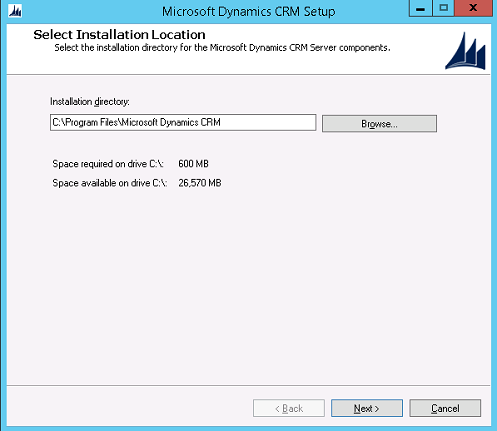 5: Installation Location screen). 11. 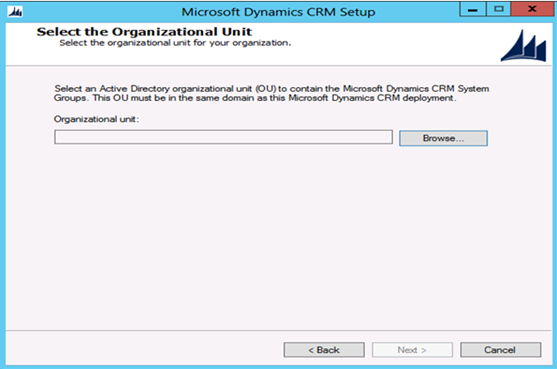 On the “Select the Organizational Unit” page, click Browse to display the Active Directory structure and select the location where you want the Microsoft Dynamics CRM organizational unit to be installed and click on Next (refer Fig. 8: Organizational Unit screen). 12. 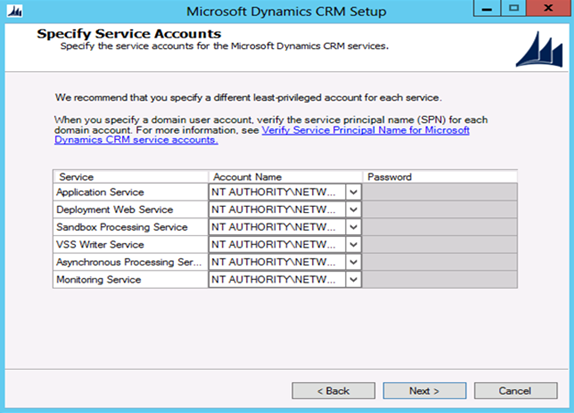 On the “Specify Service Account” page, select the security accounts for the Microsoft Dynamics CRM services and then click on Next (refer Fig. 9: Service Accounts screen). 13. 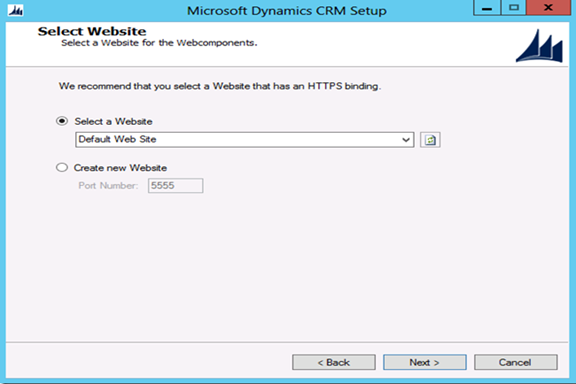 On the “Select Website” page, click on “Select a website” and click on Next (refer Fig. 10: Select Website screen). 14. On the “Specify Email Router Settings” page, specify the name of the server where the Email Router will be installed and click on Next. This step you can skip and can configure the Email Router later. 16. 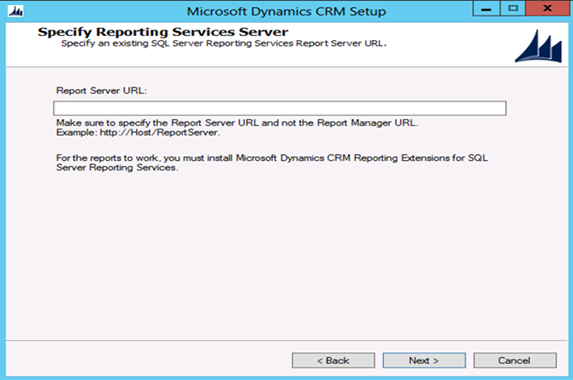 The next is to specify the Reporting Services Server, on this page, specify the Report Server URL and click on Next (refer Fig. 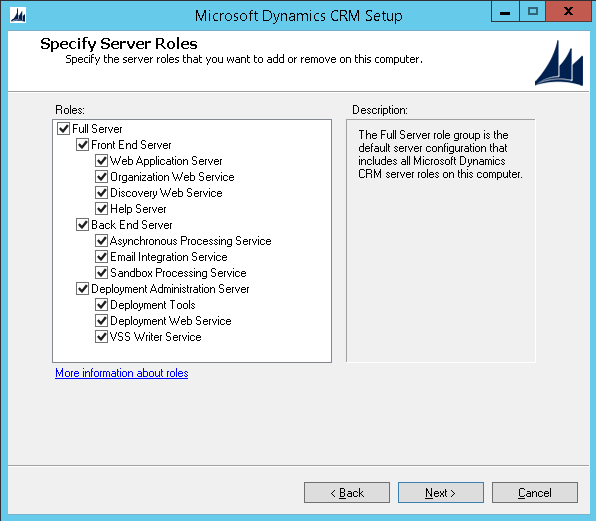 12: Reporting Services Server screen). 17. 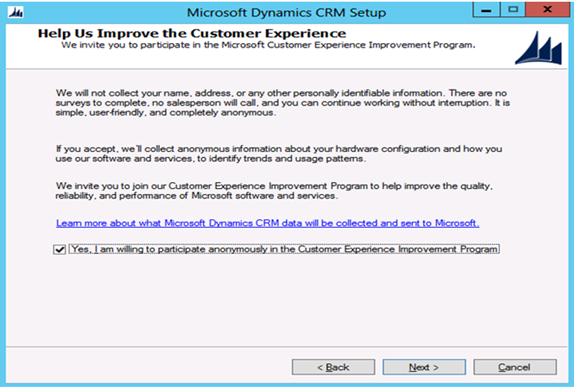 On the “Help us Improve the Customer Experience” page, select whether you want to participate in the Customer Experience improvement Program and click on Next (refer Fig. 13: Customer Experience screen). 18. 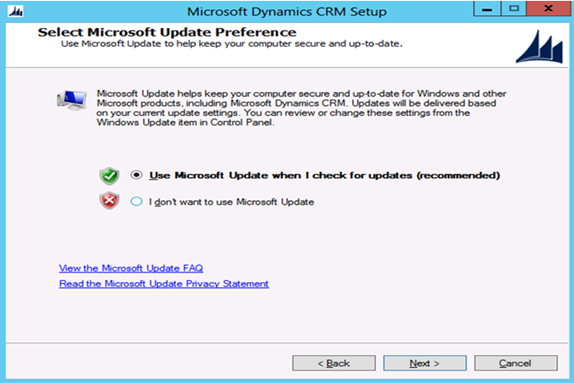 On the “Select Microsoft Update Option” page, it is recommended that select the option “Use Microsoft Update when I check for updates” (refer Fig. 14: Microsoft Update screen). 19. On the “System Checks” page, this page displays the summary of all the requirements and recommendations for a successful installation (refer Fig. 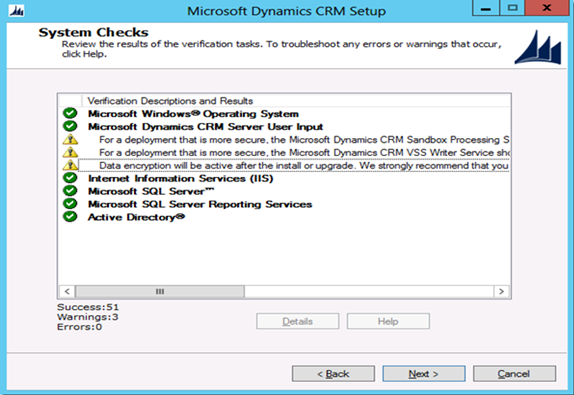 15: System Checks screen). 20. 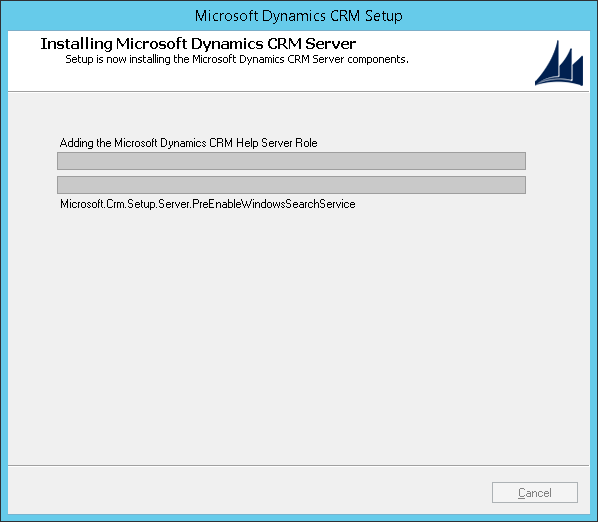 Now the setup is ready to install Microsoft Dynamics CRM (refer Fig. 16: Installing screen).